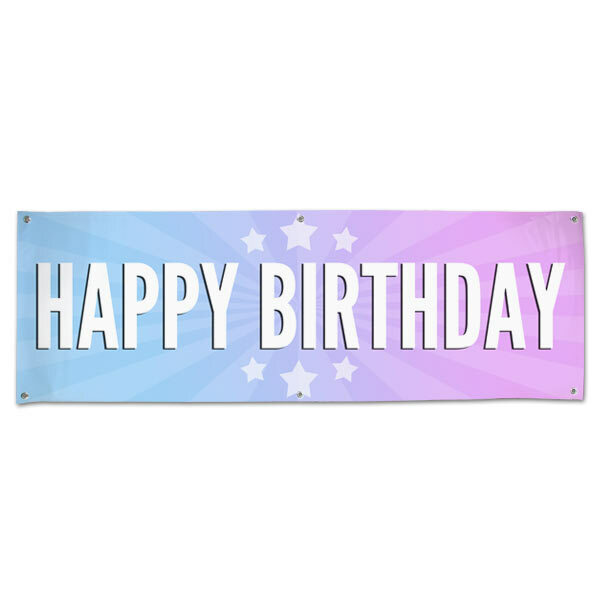 Liven up any birthday celebration with our Happy Birthday banner! Made from durable vinyl, they can be displayed indoors or outdoors! 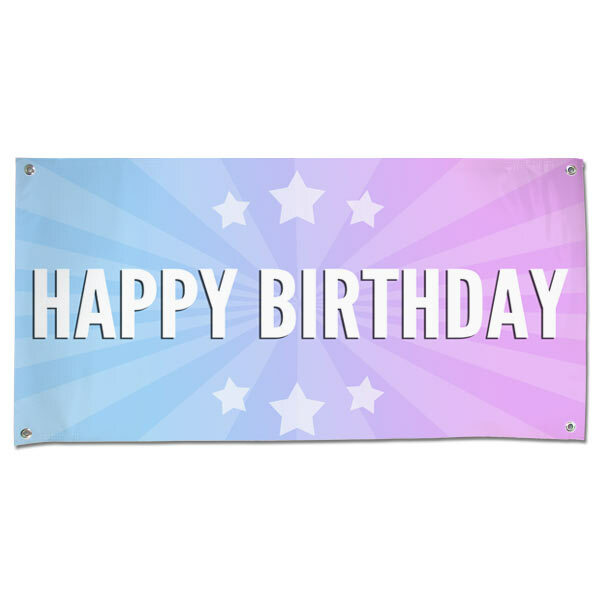 Full of color and character, if you're looking for unique birthday party decor, our vinyl banners are guaranteed to please. Furthermore, no customization is needed. Just choose a banner size and place your order. Your banner will be conveniently delivered right to your door before your celebration. Need a birthday banner with photo option instead? Check out our paper photo banners! 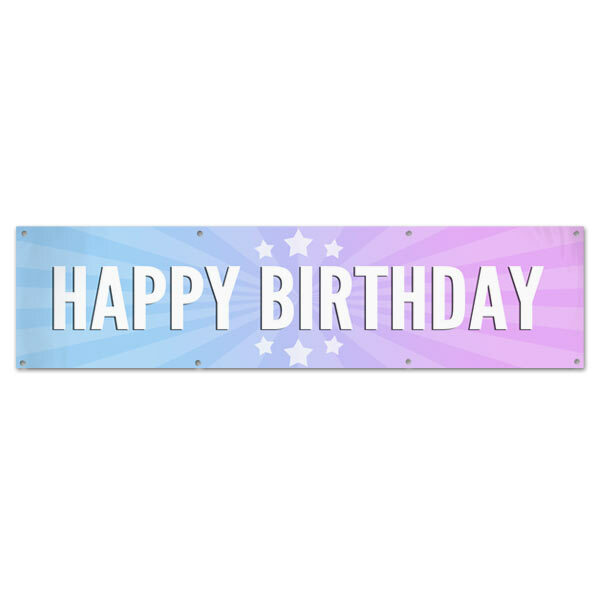 We offer dozens of templates and backgrounds so that you can coordinate your banner with any birthday bash theme!